Q: Kathy W: So how did you apply it? Does it absorb systemically like Frontline? Q: Jerrie: Why not use diatomaceous earth? A: Jerrie: on a brachycephalic puppy chewing on themselves (nose planted right into the skin/fur) until it worked, if it did work? I would have more worries about him inhaling it down into his lungs and causing way more issues. Q: Debby D: Supposedly Advantage II for Cats is exactly the same as for Dogs, just in different doses. Can this be used on cats? This year is the first time ever I have had fleas and I bought DE with Neem and various other natural stuff but it isn’t working. It stops the itching for a day or so and then they are right back to it. And I’m afraid of Bronson inhaling DE with his lung problems. Q: Aleksandra: My relatives had dogs and cats when i was growing up (I grew up in Russia and lived there until I was 28 years old). All animals had fleas and no one thought it was a big deal. When Teddy had fleas for the first time: before raw and in the middle of awarm winter, I was pretty causal about it, but my husband told me that we would get fleas in the house. Back in Russia we never had fleas in the house, although all our animals had fleas and some of them slept in bed. I know this might sounds pretty ignorant, but pets go back and forth between the house and the outside as do insects. Have you actually dealt with a house getting infested with fleas? 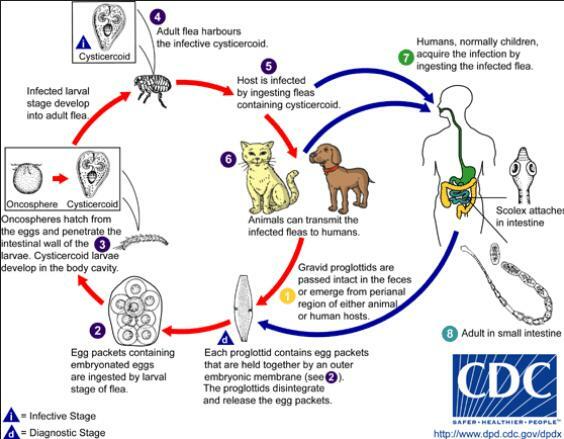 Getting rid of fleas on a pet is not very hard and yes I would do it, of course, but if you think of big picture, getting the yard and the house infested and then keeping fleas away from coming back, etc. This sounds pretty big deal with lots of chemicals and effort involved. Q: Debby D: Question Carnivore Carryout’com – Are you saying all fleas turn into tapeworms or some carry the eggs or larvae?